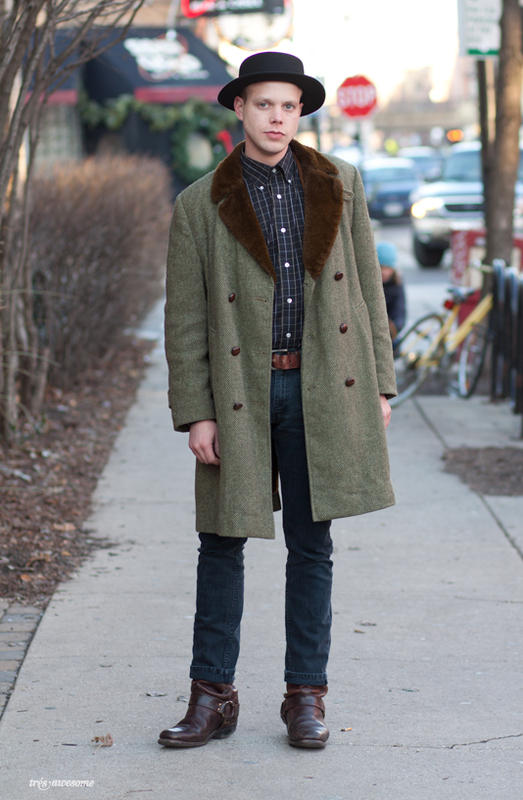 This Chicago Street fashion was captured in Bucktown. Very cool look! Love his coat and hat. So cute! Love the look! What a qt! I'd like to smooch that!